Bit Source, a Pikeville, Ky., startup, is out to prove there’s life after coal for the thousands of industry veterans who’ve lost their jobs. Jim Ratliff worked for 14 years in the mines of eastern Kentucky, drilling holes and blasting dynamite to expose the coal that has powered Appalachian life for more than a century. Today, he rolls into an office at 8 a.m., settles into a small metal desk and does something that, until last year, was foreign to him: computer coding. He works for Bit Source now, a Pikeville, Ky., startup that’s out to prove there’s life after coal for the thousands of industry veterans who’ve lost their jobs in an unprecedented rout that has already forced five major producers into bankruptcy. 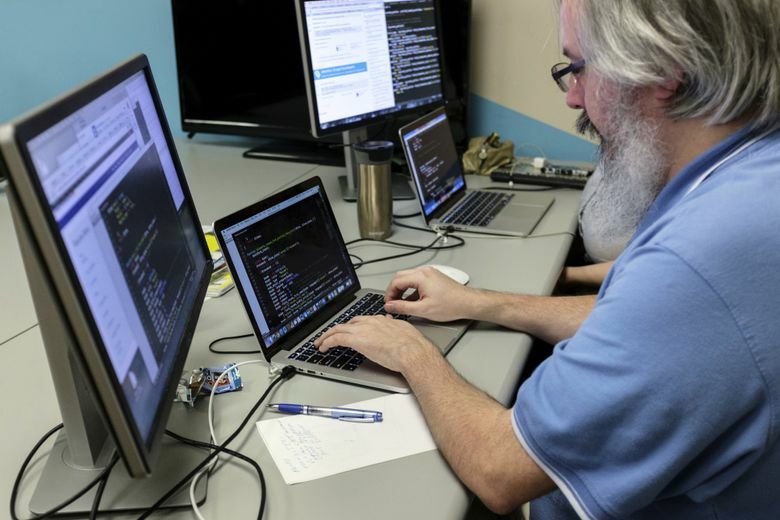 Bit Source has only hired 10 coders, but almost 1,000 responded to its ads as the realization spreads across Appalachia that coal’s heyday is over. What fills its void is a challenge so immense that presidential candidates including Hillary Clinton and Donald Trump have cited the industry’s woes on the campaign trail. Few places are as steeped in coal lore as Pikeville, a town of 6,900 wedged into a narrow bend in the Big Sandy Valley. Over the years, surrounding Pike County has produced more of the fuel than anywhere else in Kentucky. In 1996, when Ratliff was still a teenager and his father worked in the mines, the local producers dug up 35.6 million tons, a state record. He eventually followed his dad into those mines. The coal market began to collapse in 2011 as a global glut of the fuel swelled. Prices are down 75 percent since then, and nowhere has that hit harder than in Appalachia. The price of Central Appalachia coal has dropped 70 percent from a record $143.25 a ton in July 2008 on the New York Mercantile Exchange. Pike County’s output dropped to 6.9 million tons in 2015, and its mining jobs fell to 1,285, about a third as many as four years earlier. The slump has eliminated at least 26,000 jobs in the U.S., and Ratliff’s was one of them. Justice, a fourth-generation Pikeville native, felt the pinch too. His excavation and engineering company, Jigsaw Enterprises, lost 70 percent of its customer base. Looking to diversify, Justice and his business partner, M. Lynn Parrish, spent a couple of years considering everything from wind farms to solar farms to farm farms. Then they watched a presentation about Kentucky’s growing ranks of computer coders, who mostly live three hours west in the “Golden Triangle” of Louisville, Cincinnati and Lexington. They make starting salaries of as much as $70,000, similar to coal miners’ wages. Of course, there’s a big difference between Big Sandy Valley and Silicon Valley. For one, Kentucky has the country’s slowest peak Internet connection speeds, according to a survey by Akamai Technologies. And few governments ever banded together to attract the likes of Apple and Google. That’s slowly changing. 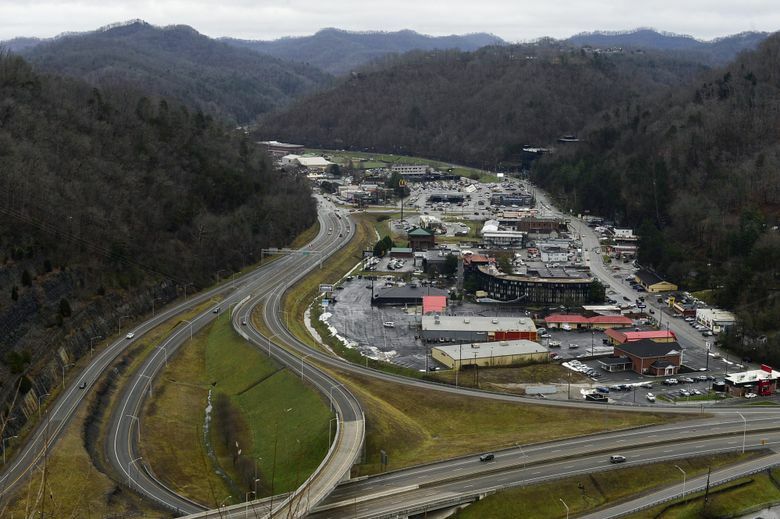 New regional organizations are cropping up like Shaping Our Appalachian Region, which is trying to breed an entrepreneurial spirit in eastern Kentucky that reaches beyond energy. Internet access is one initiative of particular interest to Justice. Kentucky Wired, a $324 million public-private partnership, may bring over 3,400 miles of fiber-optic cable across the state — starting in Appalachia. Bit Source got started in 2014, when Justice and Parrish bought an old brick Coca-Cola bottling plant on Pikeville’s northern edge. Last winter, they began broadcasting radio ads and posting fliers across Appalachia, seeking unemployed coal workers interested in becoming computer programmers. Justice said he expected 50 applicants. He wound up with 950. Ratliff didn’t think he had a chance with Bit Source. Turns out he fit the bill. He aced a series of interviews and tests, which he credits in part to his years of calculating particle velocities and explosion densities at his old gig. 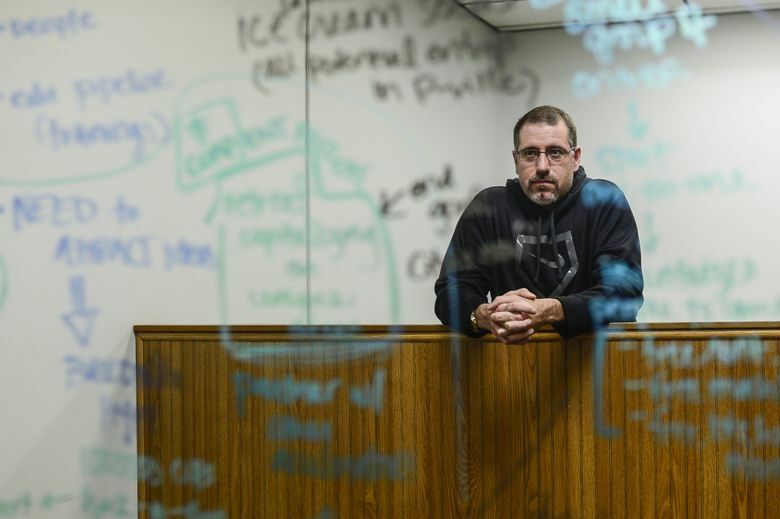 While a Labor Department grant covered the coders’ wages during training — and similar funding will cover a share of their salaries through winter — Justice said he expects to achieve profitability in 2016. They’ve already finished nine projects, including the website for eastern Kentucky’s career-center network. “We’re further down the road than we thought we’d be,” Justice said. For now, Ratliff’s prospects are bright enough that he turned down another coal-mining offer. He recently sat down with his teenagers, suggesting they consider following him into coding.